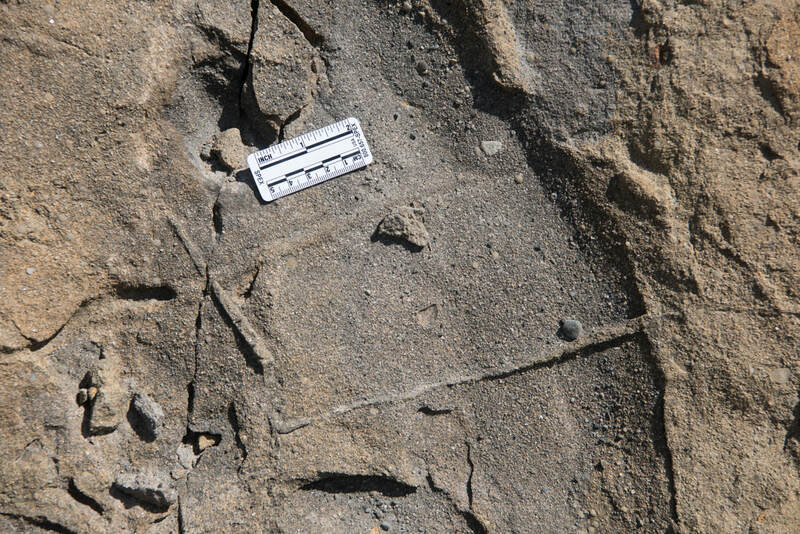 Field photo of the base of a turbidite sandstone bed showing load structures, flute marks, and trace fossils. The obligatory scale. Early Eocene, Arro, Central Pyrenees. Digital photography has made taking field photographs so much easier. Immediate results, high resolution, relatively low cost and the ability to take almost unlimited pictures. And then you can instantly upload them to the cloud. How can anything possibly go wrong? Here are 10 simple tips for ensuring it does not. Photography is an essential part of fieldwork in the Earth sciences. Today, digital photography makes capturing field information easier than ever before. Immediate, high-quality images can now be achieved even using a smartphone, and results uploaded to a computer or the cloud. Go back 20 years and the ‘picture’ was very different…. Before digital there was film. Now for those of you too young to know what film is and who may never have heard of "Kodak" (i.e. anyone younger than 20), imagine being limited to how many pictures you can take, which means that you must choose your field shots with care. Each roll of 35mm film could capture up to 36 images. And film cost. Imagine changing between rolls of film, ensuring the film was not exposed when you loaded it in your camera. Now imagine doing that in the rain, with the back of your camera open to the elements. Now imagine that you cannot see the results until you have the film processed, which you cannot do until you return home or to a base with either a post-box or photo store, and then it might take a week or more turnaround time between sending, processing and return. Only then can you see what you captured weeks before. Imagine getting a nice blank film back... Doh! There was an 'immediate' film option, which was to use a Polaroid instant camera. But prints were small, and the resolution limited. It was also still film technology, and as already said, film cost. What is there not to like and how can this possibly go wrong? Whilst digital makes field photography easier, there are things that you must take account of whether you are taking field photos with Digital or with Film. In this first blog on field photography, I want to provide 10 simple tips to remember. Although this list is largely designed to help students, it may be useful to others. You need to record where you are. Some digital cameras have GPS (Global Positioning System) built in, and certainly many/most phones do (if you are within range of a signal). If not, you can buy separate units that plug into most makes of digital camera. I use a Solmeta Geotagger GPS attachment for a Nikon D810. It is pretty accurate, although I usually have a larger Garmin 64s GPS with me if I am in a new area and want more accurate results (and as a double check). If you don't have a GPS then the traditional approach is to use a map grid reference. Be aware of local grid schemes and what system you will publish. Latitude and longitude are the clearest and most useful for international research (frankly the use of local grid schemes in publications only frustrates; it certainly drives me nuts, having spent my Ph.D trying to translate various national grid systems into latitude and longitude; and don't even mention the Township and Range system of the US). It is then important to ensure that this location information is assigned to each photograph, either through metadata (digital) or physically written on slide frame borders or the back of prints. Geographic orientation (azimuth) of the subject is usually derived using a compass, but again, this can now be done digitally. The Solmeta Geotagger GPS attachment I use also records the direction in which you are pointing the camera as well as elevation. However, I recommend using a compass. This provides a double check of your digital equipment but is more reliable in its simplicity. It is better to do this in the field than question results once you are back in the office. This information is then recorded in your field notebook; don't rely 100% on digital information. Record what your source of location and orientation was. Capturing the geological context of a field subject generally means stepping back and taking a photograph of the whole outcrop and, ideally, the landscape in which that outcrop occurs. Panoramas are a great tool for this and allow you to then place your detailed shots; this also needs a sketch, so you don’t forget where each is. Panoramas using film take up a large number of shots. When I first experimented with 360 panoramas back in the 1990s using some of the early Apple stitching tools, a single 360 panorama would take at least 18 - 36 shots. i.e. a whole roll of film. Digital means that the number of photos needed for a high-resolution panorama is no longer a constraint. What is more, the stitching software has improved tremendously, although it should be said that the Apple software was well ahead of the curve. Many phones and cameras provide an automatic panorama tool, which is amazing. As a recommendation always build panoramas using the camera in portrait orientation. This will increase your ability to accommodate for vertical movement when not using a tripod. Panoramas built from single shots can then be stitched together using either a dedicated panorama stitching software such as PTGui ​which I use, or the extensions now available for Adobe Photoshop and Lightroom or other photo processing software. One further thing about context using panoramas. Remember that the orientation of the image will, by definition, encompass a range of azimuths, so you need to ensure that you record this. For limited extent panoramas (not the full 360) record the azimuth of each end of the panorama as a minimum requirement. If your camera appends azimuth (orientation) to each photography that builds a panorama then you will be able to revisit this later. There is also another way to check on the context of an outcrop and that is to use Google Maps back in the office or basecamp. With the ability to now generate 3D views of landscapes in Google Maps you can go back to any locality and relook at the context from various orientations. This is a great tool. But it does come with a health warning. In most areas, the landscapes in Google are draped on an elevation model, which means that bedding dips and geometries will be compromised. 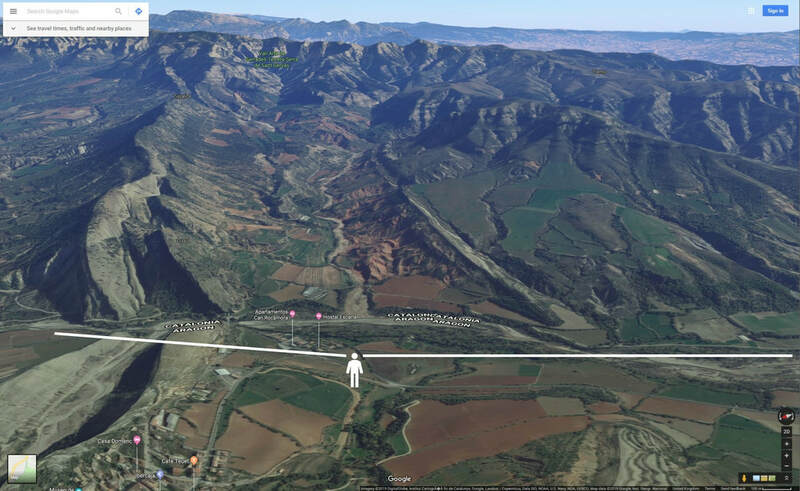 ​Google view of the panorama shown above. The position of person indicates the viewpoint, and the extent by the white lines. 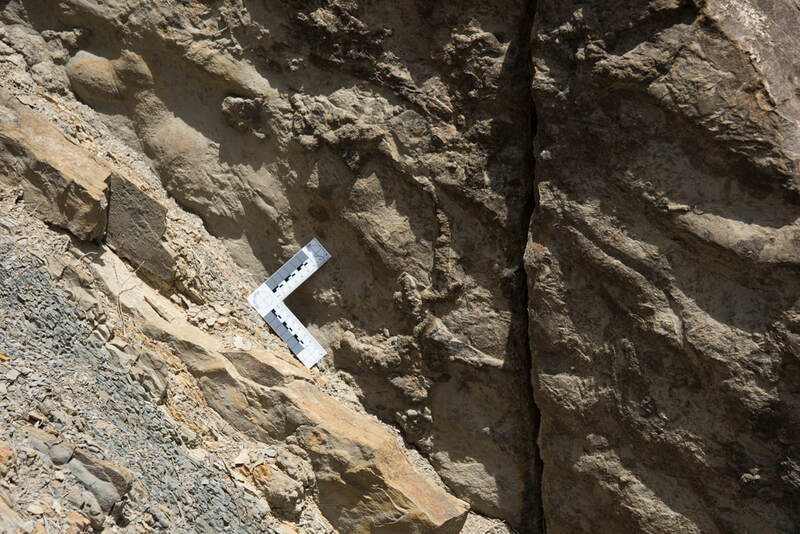 With the context captured, you can focus in on key features within the outcrop. 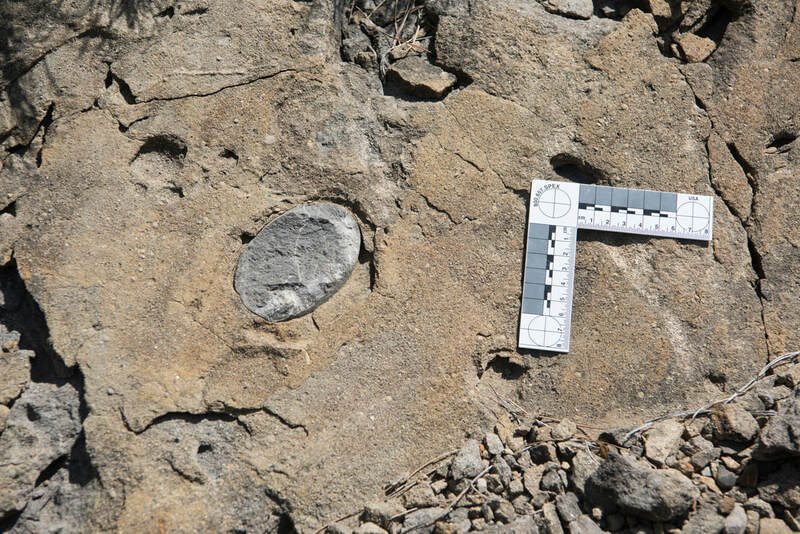 This might be fossils, sedimentary structures, or tectonic structures, petrology etc. If you are focussing in on detail, be careful especially of light and focussing (see below). Ensure that on at least one version of each picture you have a clear scale that shows dimensions and any possible distortion (see below). With a high-resolution digital camera with a large megapixel count, you will be able to zoom in and extract detailed clip-outs from a single overview photo in processing software such as Adobe Lightroom. This can help limit / manage the number of pictures you take if this is a concern. Size is important. All field photos need to include an indication of the scale. Traditionally geologists have used coins and lens caps, all of which vary in size. Today, it is easy to buy professional scales used for archaeology or, as I use, for crime scenes (evidence markers are great for drawing attention to key features for students to look at, although chalk body outlines might scare the more sensitive and are probably best avoided…). The metric system is the standard measurement system for science. However, many of my scales have both metric and imperial given that much of my own audience is based in the U.S.
A word of caution, which also applies to coins as scales, is light reflection and exposure. Although I use white scales (see photos), I now also have a set of grey colored scales, which present fewer light issues. Zooming into a scene can have an unwanted consequence. Distortion. This can get even worse if you get close to an outcrop and then decide to use a wide-angle setting. Not recommended. But is often done. The scales I use have a circle drawn on which will give an immediate measure of distortion which you can then account for in Lightroom or Photoshop (or equivalent). For larger extent field shots look for verticals that you can use to constrain distortion. For example, signposts, roadside lamp posts, etc. A scale ‘square’. The right angle and circles allow for any image distortion to be quickly assessed. One of the real frustrations of using film was getting your slides or prints back and realizing that you had set the wrong aperture or shutter speed. The same is true for digital but can be checked immediately in the field. The recommendation is that you frequently check your settings and that you go back through your last few shots to ensure that there is nothing amiss. I shoot in Raw format on my Nikon, which gives me the ability to 'correct' many exposure issues in the office. That’s ok at one level, but whilst light issues can be addressed to some degree, focusing problems cannot. If your image is out of focus, then no amount of playing with the clarity or sharpness options in Adobe Lightroom is going to rectify this. I know, I have tried. Again, this problem can be avoided by regularly checking your focusing settings at each new locality if not more often. Be aware that on some cameras it can be very easy to accidentally switch off auto-focus, or vibration compensation systems on lenses. Another way of mitigating the focusing problem is by stopping down the aperture to increase the depth of field (those parts of your image that are in focus). With most new digital cameras, you can stop down even in dark, overcast settings by simultaneously increasing the ISO. With film, high ISOs were equated with an increase in the graininess of the final result. This is far less of an issue with digital. Sketching an outcrop is an essential skill for field geologists and has not been eliminated by digital photography, no more than it was by film. Even the most basic sketch allows you to record what you have photographed, and to record locality and measurement information (azimuth, dimensions) as well as key features that you can observe in the field, annotations to help your memory once you are back in the office, and also any questions you have about the outcrop. Given that with digital you can take a large number of images for any outcrop, it is important to ensure that you remember what you photographed, and this is where an annotated sketch will help (more on field sketching in a few weeks). Another tip here is to use graphics or presentation software to create an annotated version of your photographs. These are then useful for presentations. 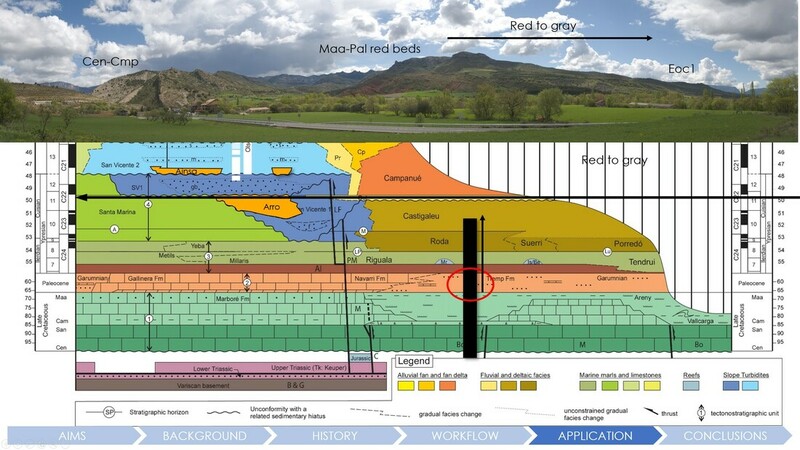 n this example from one of my own presentations, the panorama field photo is annotated with some key observations that I want to draw attention to and then related to the outcrops position stratigraphic chart using some animated graphics. In this case, the position is shown both temporally and spatially. If you are asked to give a presentation with limited time to prepare this sort of slide is relatively quick to produce. 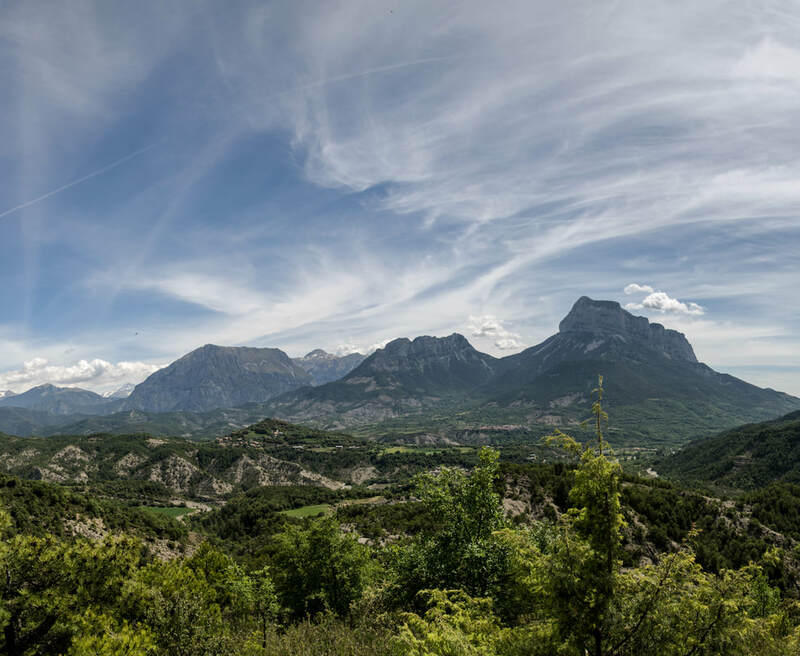 The stratigraphy is from a paper downloaded from the internet (in this case the excellent Ph.D. thesis of Elisabet Amorós, 2013) and the panorama can be generated at the outcrop. In MS Powerpoint the annotation and animation take 5-10 minutes depending on what you want to highlight. Ensure that once you are home you upload your images immediately and that you tag your pictures whilst they are fresh in your mind. (ideally, you should do this each evening when you are in the field). If you leave it a week it will be too late, and likely you will never do it. Tags are useful because they are attributed to each picture in your processing software as metadata and will allow you to search your photo libraries for location, subject, data etc., depending on what keyword system you use. Adobe Lightroom will, by default, organize your photographs by date, which is still my preferred management scheme. Post-production in this definition means what happens after you have taken the photograph. With digital, you have much greater flexibility to correct or enhance images to show key features using post-production software, of which there is a range of options. I use Adobe Lightroom. Whilst these tools are extremely useful, they do take time. So, unless you have unlimited time available, then you will need to be choosey about which images you process. This is about cropping photos for particular tasks or changing the light balance. Be careful about changing the color balance, especially if you are going to refer to rock color in any resulting paper or analysis. Cropping can help focus on particular elements you want to highlight in a project or paper. In Lightroom, you can do this, save out the results, without losing the original photo extent. Black and white photos are great for showing structure, whether tectonic or sedimentary, where you can increase contrast to highlight changes in rock type. As with anything on your computer, ensure that you make backups. Storage space is relatively cheap. Losing your photographs is forever. My personal recommendation is that you have two backups on physical hard drives. This may sound like overkill but hard-drives do fail. SSDs (solid state drives) should be more resilient but the storage costs of SSD are currently incredibly high in comparison with traditional spinning patter technologies. I would also recommend using a cloud solution such as Dropbox, iCloud or oneDrive. Palaeogeography in Exploration. A new publication. Paleogeographic maps are common throughout the Earth sciences. There seem to be few geological presentations today, in either Academia or Industry, that do not include at least one paleogeography, some of which have become aesthetically quite beautiful. But, despite this, the full power of paleogeography as a tool in geological problem solving remains underutilized. In many, if not most cases, maps are used simply as a backdrop image for locating data. That is a great shame. When Thomas Sterry Hunt first coined the phrase 'paleogeography' in 1873 (Hunt, 1873), it was not just as a 'pretty' picture for a presentation, but as a way to bring together diverse geological information to better understand the Earth system. Hunt was one of the first petroleum geologists, and by the time of his paper, he was faced with the problem of a rapidly expanding library of geological observations and ideas that needed to be managed. A situation that is all the more applicable today. Earlier geologists had used land-sea maps as one means of managing and visualizing this wealth of information. But, it was Hunt who applied these maps to exploration and who established the first systematic workflow for building paleogeography by stressing the importance of the underlying crustal architecture. This workflow was expanded and developed by Charles Schuchert in the early 20th century (Schuchert, 1910, 1928) and later by Fred Ziegler (Ziegler et al., 1985) and the Paleogeographic Atlas Project (the subjects of future blogs). Paleogeography has long been a passion with me ever since I was an intern at BP’s research center in Sunbury-on-Thames back in the mid-1980s. The first atlases of global plate reconstructions had been published 10 years before (Briden et al., 1974; Smith and Briden, 1977; Smith et al., 1973) and by the 1980s were becoming much more widely used. In Chicago, Fred Ziegler’s Paleogeographic Atlas Project was developing new methods for mapping and applying the results directly to exploration problems (Ziegler et al., 1985), including the use of paleogeography with paleoclimatology to retrodict (predict the past state) the distribution of source rocks. This had demonstrated to the oil and gas exploration industry that there might be a better and cheaper way to do preliminary basin screening. This is where I came into the story, working on paleogeographic maps, paleoclimatology, source rock databases, and retrodictions. It was a great time with so many new developments and ideas about the Earth. Many groups have developed paleogeographies over the years. Too many to mention in one blog or paper. One could mention the influential atlases of Peter Ziegler at Shell (Ziegler, 1982), the ground-breaking Russian atlases of Vinogradov (1968, 1969; 1967; 1968) and then Ronov (1989; 1984) and their teams in Moscow, the coastline maps of Smith et al., at Cambridge (and BP) (Smith and Briden, 1977; Smith et al., 1994); the maps of Dore in Statoil (Doré, 1989), and Dércourt in France (Dercourt et al., 1993), and more recently the excellent work by the University of Rennes research group of Francois Guillocheau (Chaboureau et al., 2013). Not forgetting, of course, the highly influential and widely used maps of Chris Scotese (Scotese, 2008; Scotese et al., 1979; Scotese and Golonka, 1992), who has perhaps done more than most geologists to promote plate reconstructions and paleogeography. It was on Chris’s maps that Ron Blakey from Arizona first generated his beautiful 'Photoshopped' maps which many of you have seen and probably used. But, for me, it was the developments by what I refer to as the 'Chicago School' that were the most influential, especially in the exploration Industry. It was at Chicago that Chris Scotese published his initial work as a post-doc of Fred's, where Dave Rowley and Ann Lottes published a series of papers on plate modeling, and where many of Fred’s students, including Mike Hulver (now at Saudi Aramco), myself (Markwick and Valdes, 2004) and others learned and developed our understanding of geology and paleogeography, as well as methodologies for data management, auditing, and visualization. 1. 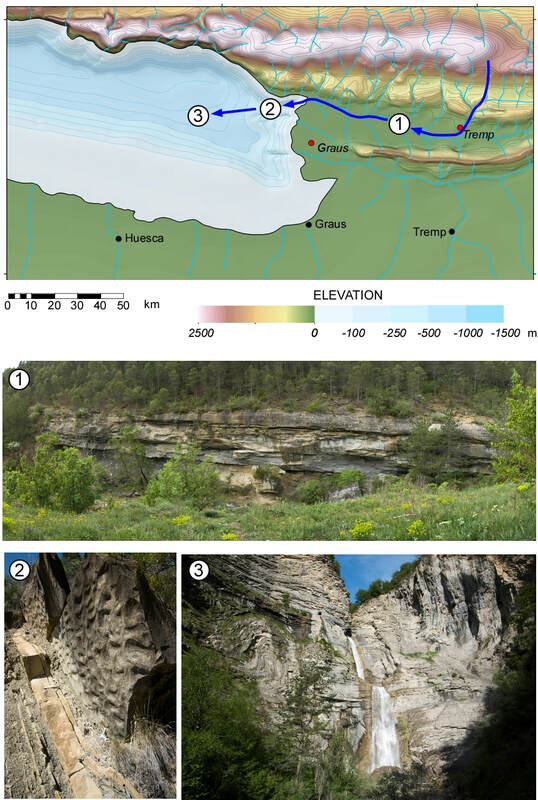 The reconstruction of paleolandscapes, not just depositional systems or facies. 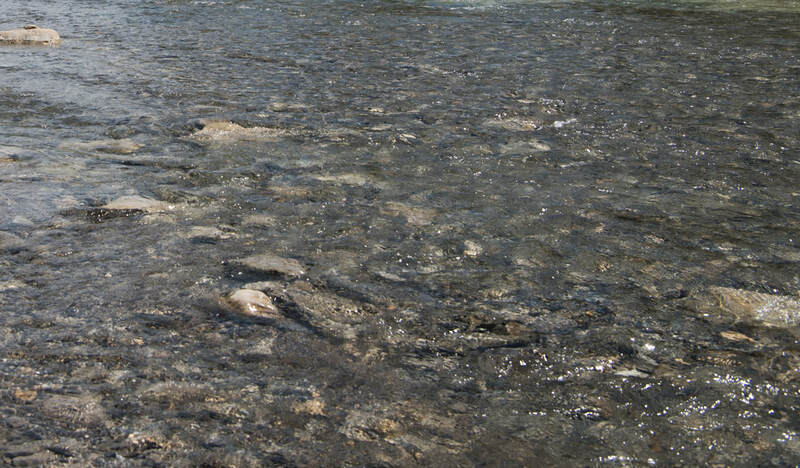 Paleolandscapes are key because at the end of the day this is what the rock record sees. A particle weathered from the highlands in the hinterland of a basin, does not see mantle anomalies, or hyper-extended crust, at least not directly. It sees the vegetation, rivers, lakes, and sea. It sees the surface of the Earth, which is the landscape. Data management, because without an audit trail how do you know how good the maps are? This was and is critical for the exploration industry with their need to understand exploration risk, in order to make informed decisions. Decisions that have a financial cost. The Paleogeography Atlas Project was sponsored by the oil and gas industry and so these questions and drivers were foremost in Fred's mind. 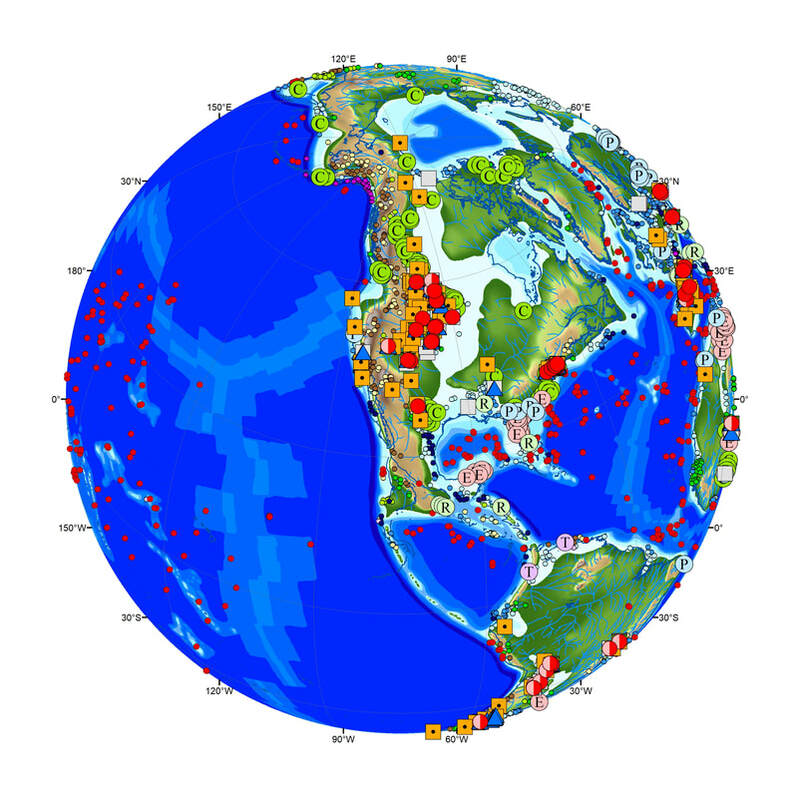 It was also this link with the Industry that stimulated the work of Judy Parrish in the early 1980s and her seminal publications on source rock retrodiction using early parametric paleoclimate models and paleogeography to reconstruct the location of ocean upwelling. These models were subsequently computerized by Scotese and Summerhayes (1986). Over the last 18 months, I have been revisiting this story. One result is this paper on “Paleogeography in Exploration” (Markwick, 2018). This is designed to provide an introduction to the history and methodologies of paleogeography, including the latest version of Hunt’s mapping workflow. Associated with this is a new mapping legend, which is available through the publication as supplemental data, as well as online as digital .style files for use with ESRIs ArcGIS. Three case studies are given which show how paleogeography can be applied at different scales to solve different exploration problems. There is much more to add to this story and more will follow. But, for now, my aim to get the next generation of geologists, and especially explorationists, thinking about how they can use paleogeography maps more effectively in their workflows. And also, I hope, to get them excited about reconstructing the Earth system, an excitement I first discovered back in BP in the mid-1980s. At the very least I hope that readers will see that paleogeography is so much more than just a flat image, beautiful that these may be. "Palaeogeography in Exploration" was published online in June 2018 in the Geological Magazine and will be published as part of the “Advances in Palaeogeography” volume in early 2019. ​I wish to thank the volume editor, Guido Meinhold, for all his hard work in putting together a very interesting collection of papers on this important topic and for his kind inclusion of my research. I am also indebted to the reviewers, especially Tony Doré, for their perseverance in reading the original draft, which as they described it, read “more like a book…” The final version greatly benefited from their suggested changes and their dedication to the review process. They will be relieved to hear that the final version is considerably shortened. A book will be out shortly. Briden, J. C., Drewry, G. E., and Smith, A. G., 1974, Phanerozoic equal-area world maps: The Journal of Geology, v. 82, no. 5, p. 554-574. 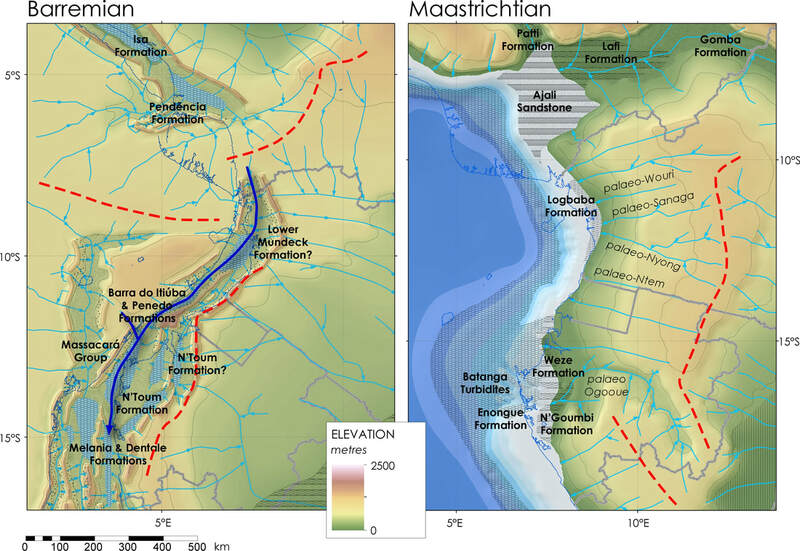 Chaboureau, A.-C., Guillocheau, F., Robin, C., Rohais, S., Moulin, M., and Aslanian, D., 2013, Palaeogeographic evolution of the central segment of the South Atlantic during Early Cretaceous times: palaeotopographic and geodynamic implications: Tectonophysics, v. 604, p. 191-223. Dercourt, J., Ricou, L. E., and Vrielynck, B., 1993, Atlas Tethys palaeoenvironmental maps: Paris, Gauthier-Villars / CCGM. Doré, A. G., 1989, Mesozoic paleogeography, seaways and connections between Europe and the Arctic Sea, 28th International Geological Congress: Washington, D.C., p. 408. Kay, M., 1945, Paleogeographic and palinspastic maps: American Association of Petroleum Geologists Bulletin, v. 29, no. 4, p. 426-450. Markwick, P. J., 2018, Palaeogeography in exploration: Geological Magazine (London), p. 1-42. Schuchert, C., 1910, Paleogeography of North America Geological Society of America Bulletin, v. 20, p. 427-606. -, 1928, The making of paleogeographic maps: Leopoldina, v. 4, no. Amerikaband, p. 116-125. Scotese, C. R., 2008, Plate tectonic and paleogeographic mapping: state of the art: Search and Discovery, v. Article #40312. Scotese, C. R., Bambach, R. K., Barton, C., Van der Voo, R., and Ziegler, A. M., 1979, Paleozoic base maps: Journal of Geology, v. 87, p. 217-277. Scotese, C. R., and Golonka, J., 1992, PALEOMAP Paleogeographic Atlas: Department of Geology, University of Texas at Arlington. Scotese, C. R., and Summerhayes, C. P., 1986, Computer model of paleoclimate predicts coastal upwelling in the Mesozoic and Cainozoic: Geobyte, v. 1, p. 28-42. Smith, A. G., Briden, J. C., and Drewry, G. E., 1973, Phanerozoic world maps, in Hughes, N. F., ed., Organism and continents through time: a symposium, The Paleontological Association, p. 1-42. Vinogradov, A. P., 1968, Atlas of the lithological-paleogeographical maps of the USSR. Volume I. Pre-Cambrian, Cambrian, Ordovician and Silurian. : Moscow, Ministry of Geology in the USSR and Academy of Sciences of the USSR, p. 52. -, 1969, Atlas of the lithological-paleogeographical maps of the USSR. Volume II. Devonian, Carboniferous and Permian: Moscow, Ministry of Geology in the USSR and Academy of Sciences of the USSR, p. 65. Ziegler, A. M., Rowley, D. B., Lottes, A. L., Sahagian, D. L., Hulver, M. L., and Gierlowski, T. C., 1985, Paleogeographic interpretation: with an example from the Mid-Cretaceous: Annual Review of Earth and Planetary Sciences, v. 13, p. 385-425. Ziegler, P. A., 1982, Geological atlas of western and central Europe, Elsevier, 130 p.